RUNNING MARATHONS OR IN A NURSING HOME? Vancouver Chiropractor Dr. Kilian is an avid runner who plans to be still doing marathons and triathlons late into his 80s, 90s and 100s. Watch Joy Johnson, the defending 80-and-over champion in the New York City Marathon. Everyday you have a choice - health or sickness. Every decision you make. Whether to watch tv or go for a run, to eat the hamburger and fries or the salad, to have fun or be stressed. All factors contribute to the longevity of your life and the quality of it. Wheelchairs, canes, nursing homes, and pain are not something that has to happen - It is not a natural progression of aging. Joy Johnson is a prime example of this. YOU CAN BE HEALTHY, PAIN FREE, AND FULL OF ENERGY till you are well over 80 years old. If Joy can do it - you can do it! 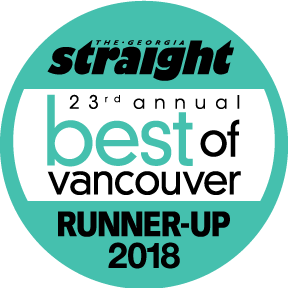 Come in and see us at Kilian Chiropractic - located in beautiful downtown Vancouver in the Bental Centre #2 - under the new Joeys and find out how you can start feeling better today!! !